Ron: Religions are social control mechanisms. As such they tend to be inflexible, ideological political constructs that constrict human spiritual development. Esu Immanuel (aka Jesus the Christ) did not incarnate to establish a religion. He came to teach the truth that had been lost over millenia and corrupted by the Pharisees. As every ensouled human is indwelt by a fragment of the Creator, true spirituality and evolvement is a personal internal development that does not depend on belonging to an external "church" or other social or political organisation. This is why one of the missions of the Abundanthope organisation is to change the face of religion on this planet. The trend towards creation of smaller more communal and socially organic "church" structures is a sign of the times. Humans are starting to seek greater personal sovereignty and independence of MIND and association. That results from growing psychological and spiritual evolvement as incoming Christed energies coming from the centre of our universe impact our world. These energies contain spiritual information associated with the Second Comming of Christ Michael Aton who originally visited this planet in a dual incarnation with Esu immanuel Kumara (aka Jesus the Christ) some 2000 years ago. This process is well underway and has been oversighted by the Triodity of Presidents Trump, Putin and Xi who are Christed individuals who incarnated here for this purpose. 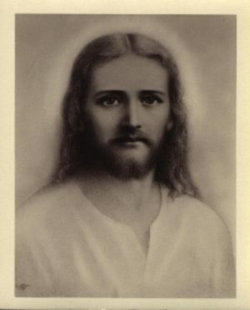 Apart from a huge space fleet here to assist with controlling Earth changes and evacuation of inhabitants as needed, Christ Michael and Esu Sananda Kumara have established Abundanthope as the Second Comming organisation to oversight the process of restoring the health of the planet, Gaia; and the spiritual evolvement of the ensouled humans remaining on the planet after the coming partial Magnetic Reversal. I understand that, to reduce physical damage to the surface of the planet, a decision may have been taken to limit the Reversal so that the planet does not reverse its spin. In that event, after the Three Days of Darkness, the Sun will continue to rise in the east and set in the west. I also understand that the Second Comming organisation will initially have some 10,000 personnel and that it will remain in place until Gaia and its inhabitants graduate into Light and Life which is expected to occur within a thousand years. Due to its relevance to the WAVE, this Seraphin Message is being ADDED to the WAVE section & Telepathic Messages - Rosie. Read this thru BEN from CM March 8. 2015. What you see with the increase in warring and such is because of the Divine Fire that fully began to enter this plane on Mar 16 2015.
http://abundanthope.net/pages/Ben/THE-SETTING-SUN.shtml Roise put up her painting October 8, 2016 and the "Prophet" piece from some years ago also. see inside for a short note. This was posted March 10, 2011. I am redating it, because its so important and needs to be near the top of the list of WAVE articles. Please copy this, and I will date it to stay on top for a couple weeks. YOU NEED TO READ THIS and its written by STRONG request from CM. IF I think of anything to add, I will modify it. -C PS, don't forget you may hear it too, sounds sort of like running finger on wet crystal glass. Nov 30, 2012 - Apocalypse is the greek word for revelation. Nov 13, 2012 - Home Study Course - 10 - LESSON NUMBER 38, Walter and Lao RUSSELL. Aug 14, 2011 - Sounds of the WAVE? http://www.godlikeproductions.com/forum1/message1594384/pg1 ? sounds of the WAVE? Interesting thread on GLP. I am still only half way thru it. May 15, 2011 - SOUND THE DRUMS ; THEORY IS OVER, PRACTISE IS ON !
" Well the WORD has gone out and as such the WORD was made flesh. " Christ Michael Aton tramite Jess, traduzione Lina Capettini. Apr 3, 2011 - Nederlands: Aton spreekt over voorbereiding. CM door Jess Anthony, vertaling Lilian A.
Apr 2, 2011 - Italian: Vi prego verificare di nuovo il vostro ancoraggio spirituale, prima che …..
Christ Michael / Aton tramite Johan, traduzione Lina Capettini. Christ Michael Aton via Johan, vertaling Lilian A.
Hathors thru Eskay, who is on our forum. Her blog where she posts her conversations is at the end of this. Mar 29, 2011 - A Message from AA Zadkiel during these tumultuous times. Mar 26, 2011 - "ERADICATION OF THE OLD"
Redated so this notice is on top again, for readers who may have missed it. CM tramite Johan, traduzione Lina Capettini. CM attraverso Peter, traduzione Ben Boux. Mar 13, 2011 - Italian: Thoth fornisce qualche facile base scientifica sull' ONDA. Thoth attraverso Leonette e commenti di Candace, traduzione Ben Boux. Metatron tramite Hazel, traduzione Lina Capettini.